The annual Abryanz Style and Fashion Awards event is back scheduled to take place on 7th December 2018. 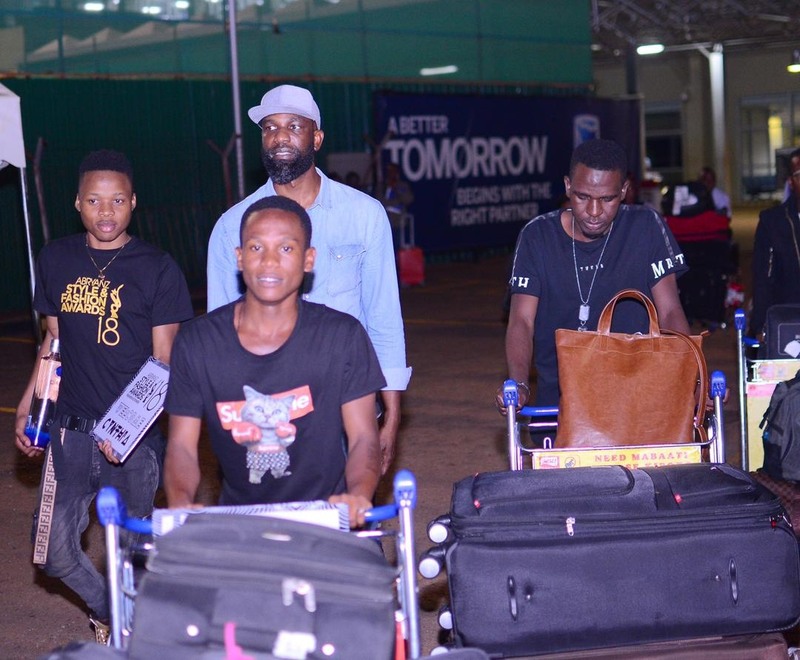 Abryanz has been known to hold one of the most impressive and massive red carpet events to celebrate fashion in Africa. 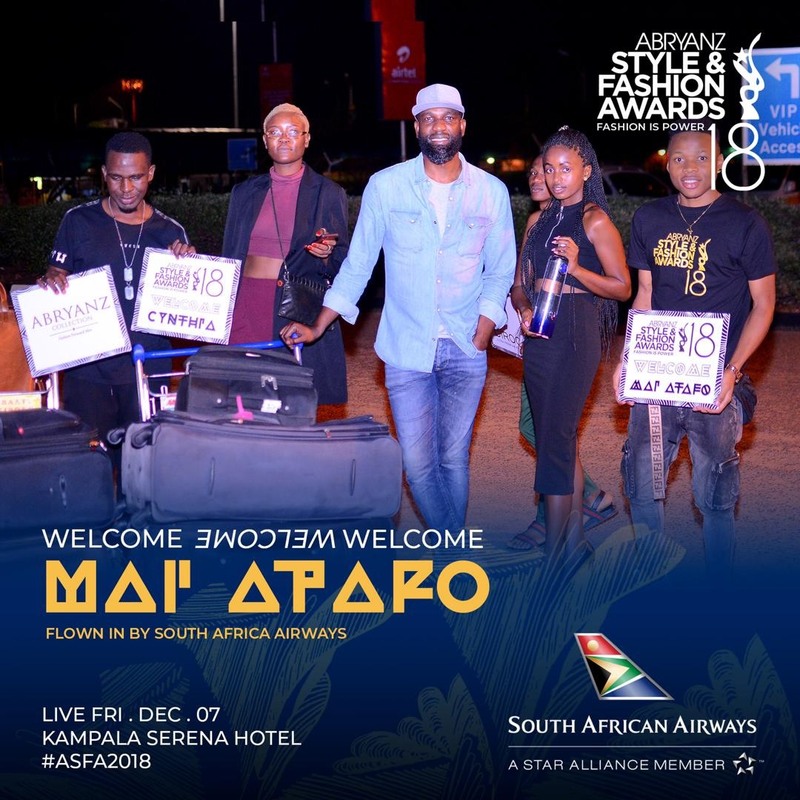 The fire and hype is real as MAC Cosmetics team and Mai Atafo, a Nigerian bespoken fashion designer have already landed. Mai Atafo shall be one of 3 main show hosts tomorrow. He will also showcase some of his collections. The expectation from him is high and exciting considering he pulled off a mind-blowing showcase last year themed “Beauty and the Beast” from his line- Weddings by Mai Atafo. The showcase from last year is still fresh in everyone’s minds. He has designed several celebrities and has showcased at various big fashion platforms. Most recently eye-catching is that he dressed Banky W and his entourage at his wedding. Our spirits are high and we are waiting for the jaw drop at his showcase this year. 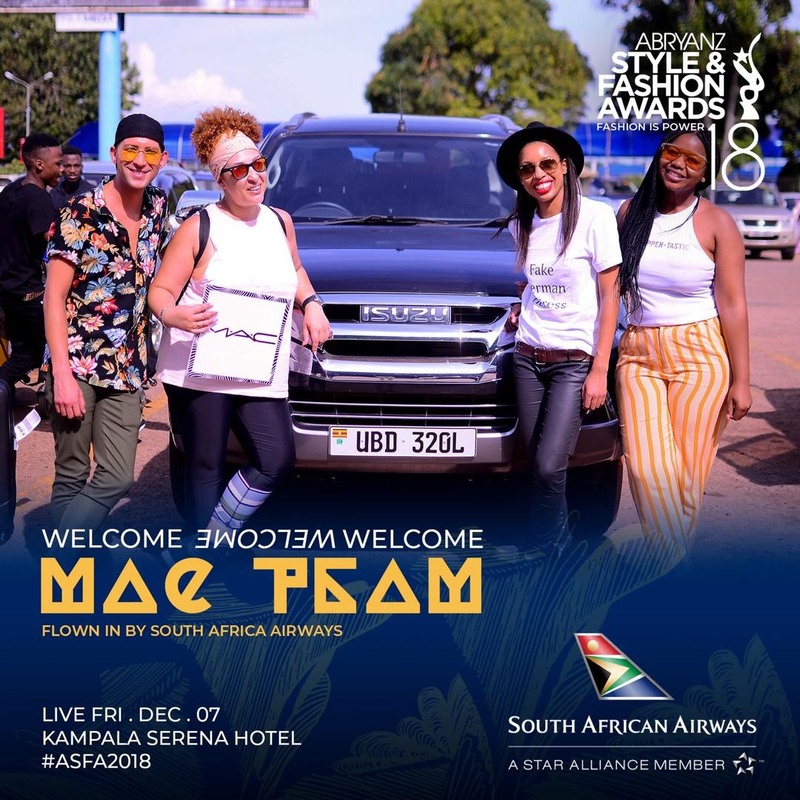 The MAC Cosmetics team also landed last night ahead of the ASFAs. MAC Cosmetics is an international cosmetics label with extreme professionalism and great work display. A touch of their expertise onto the models, hosts et al is one insight you cannot think of as small. MAC Cosmetics is also one of the sponsors of the event this year. For a show this big, anything is possible. Tighten your belts because what is coming your way tomorrow is bigger than you can imagine and you will not be ready for it when it does! Early bird tickets are still on sale at 100k ordinary and 500k VIP. On a lighter note, we must applaud Mr. Brian Ahumuza and other stakeholders in this fashion industry for bringing such greatness to our land and shinning our potential to the world beyond our borders. We wish luck to Owen Byamukama a MUBS fresher that was nominated among the Male fashionistas of the year in Uganda.